B.C.’s Office of the Information and Privacy Commissioner (OIPC) ordered BC Hydro to release the information after Vancouver freelance journalist Bob Mackin, who publishes The Breaker News, lodged a complaint about missing data in Freedom of Information responses and the OIPC conducted an inquiry. BC Hydro’s legal challenge — filed January 18 in BC Supreme Court — comes as the B.C. Legislature expense scandal ignites calls for increased transparency and accountability in government operations. The Site C dam on the Peace River in northeast B.C. is the largest publicly-funded infrastructure project in B.C.’s history. BC Hydro awards some contracts directly while others — including contracts worth millions of dollars and, in two cases, $1.6 billion and $1.75 billion respectively — are subject to a bidding process. Mike Larsen, president of B.C.’s Freedom of Information and Privacy Association (FIPA), pointed out that governments routinely release the names of public employees, including the names of people making decisions about major expenditures from the public purse. “FIPA’s position is that the OPIC made an effective and accurate ruling in this case and that their decision was a reasonable one,” Larsen told The Narwhal. He said BC Hydro’s reluctance to release the names of employees involved in adjudicating Site C project procurement proposals is especially concerning given the current “crisis” at the B.C. Legislature, as details continue to emerge about the lavish expenditures of sergeant-at-arms Gary Lenz and clerk Craig James. In a claim rejected by the OIPC, BC Hydro says in court documents that making the names public could constitute a threat to employees’ physical and mental health and safety. As one example, BC Hydro cites a Site C project public information meeting held in Dawson Creek in July, 2015, where a protestor ripped down displays, overturned tables and screamed obscenities at BC Hydro staff. RCMP who were called to the scene fatally shot a masked man they believed was responsible for the protest, but the person they killed was not the protestor, BC Hydro notes. The Independent Investigations Office investigated the shooting and cleared the RCMP of any wrongdoing. In its December 11 order, the OIPC said it was not satisfied of a sufficient connection between the disclosure of withheld employee names and a threat to their health or safety. Incidents described by BC Hydro — which included the discovery in 2017 that a stop sign on the Site C construction site had two bullet holes in it — were directed at the Site C project in general and not at specific employees, the OIPC noted. Larsen said FIPA will be watching the judicial review closely, saying it is “unfortunate” it might not be heard until 2020. Freedom of information law exists to allow the public to scrutinize government decisions and understand how those decisions are made, under whose authority, and who is making them, Larsen noted. The OIPC also ordered BC Hydro to release minutes from board of directors meetings and an e-mail exchange with its main civil works contractor, Peace River Hydro Partners, a foreign-owned consortium. 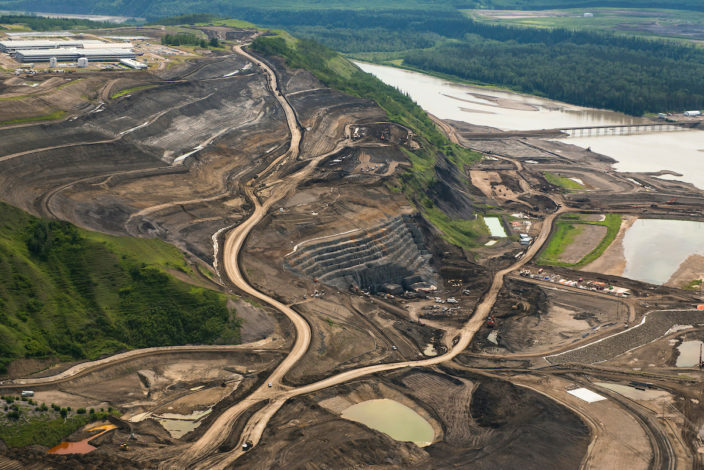 The OIPC agreed with BC Hydro that disclosing information about the Site C project’s contingency figures could be harmful to BC Hydro’s financial interests. But the OIPC was not satisfied that disclosure of contingency funds already spent on the main civil works contract “could reasonably be expected to harm BC Hydro financially or economically,” according to the order. BC Hydro is not contesting the rest of the OIPC order and Mackin said he expects the information will be delivered to him this week. Last year, an international hydro dam construction expert described the high level of confidentiality surrounding the Site C project as “extraordinary” and said he has never encountered such secrecy during his five decades designing, developing and managing large hydroelectric projects, including in China.